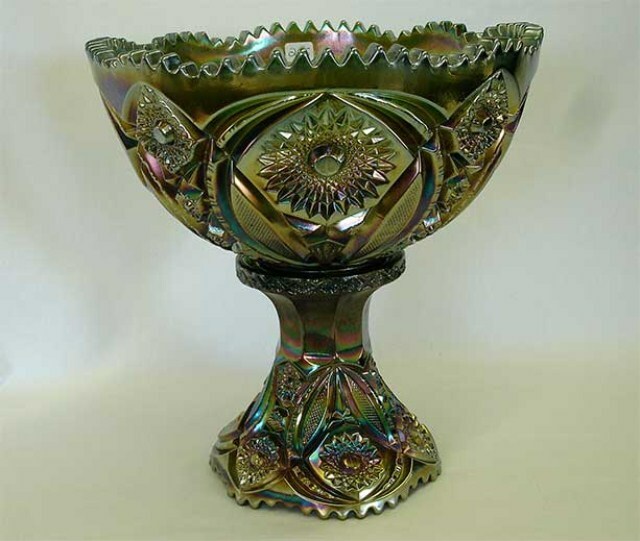 Never heard of this pattern and attribution before, but that's how this green punch bowl and base were described at the 2009 auction where they brought $1,400. 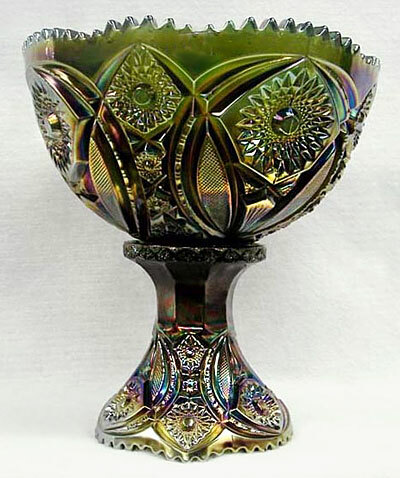 Another green set, or perhaps the same one, sold for $2,000 in 2011. 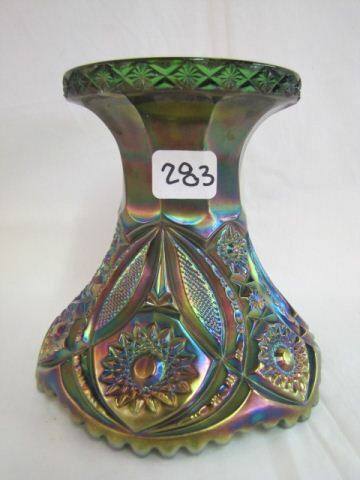 In 2012, a green punch base sold for $270. 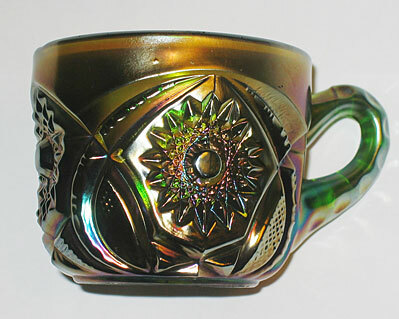 On the right is the cup from the pattern. Courtesy of Carl and Eunice Booker.